Adamjee cantonment college job circular 2019 has been published. It’s an great opportunity to unemployed people,who can love this profession. Adamjee cantonment college managed by Bangladesh army and well established educational institute of our country. Last two year’s Adamjee cantonment college was recognized as the best college among 29 colleges run by Bangladesh Army based on academic and extracurricular performances. You can get Adamjee cantonment college job circular 2019 related job information from my website that’s jobs.lekhaporabd.com. Adamjee cantonment college has been published for vacant position. 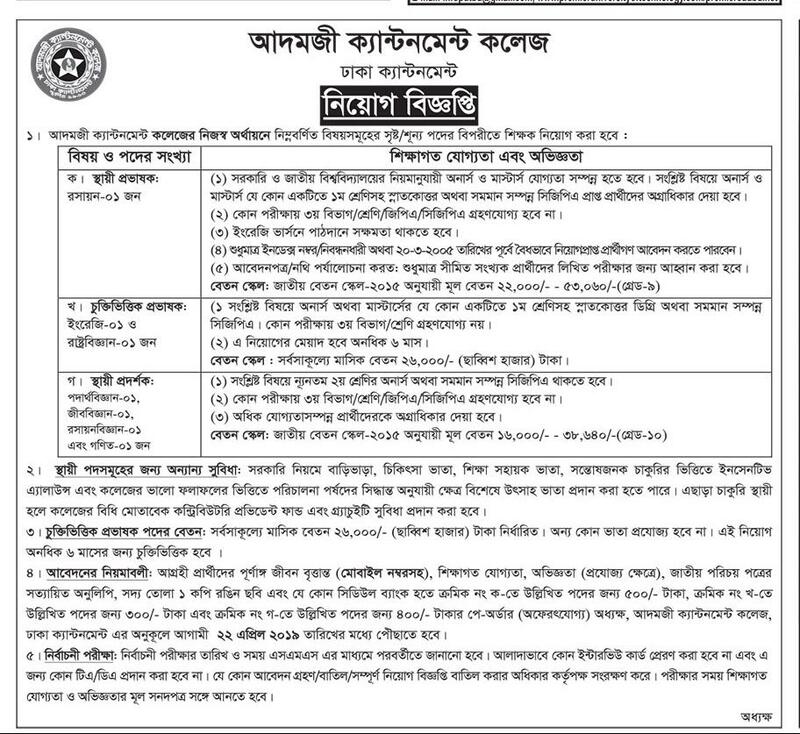 If you want to apply, you can submit your application within 22 April 2019. you can see the original job circular that has been given bellow. Employment Type : See the image file.